ODOT crews along Highway 242. Oregon Department of Transportation closed the scenic byway, also known as Oregon 242, Monday morning (11/5). It winds over McKenzie Pass between Blue River and Sisters. The road remains closed to vehicle traffic during the winter and usually reopens in June. Snow is forecast for the Cascades this week. 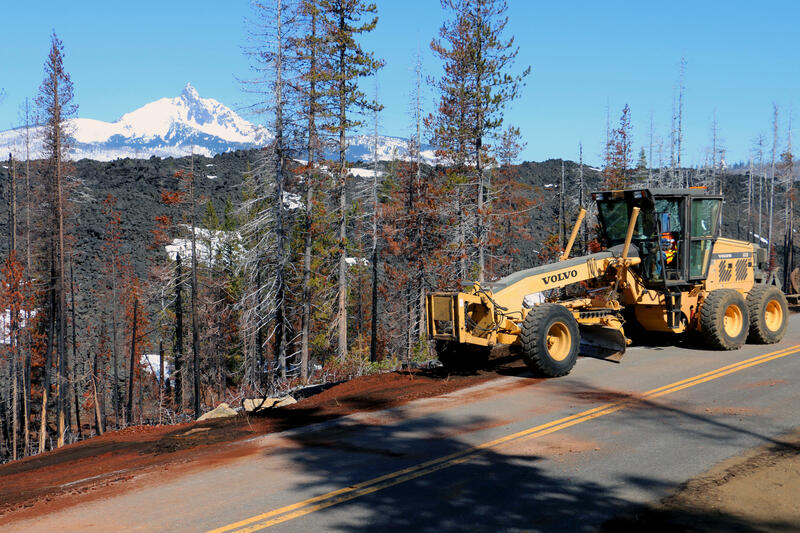 The Oregon Department of Transportation (ODOT) is managing visits to OR 242, also known as the Old McKenzie highway, which was seriously damaged from the Milli Fire in the fall of 2017.